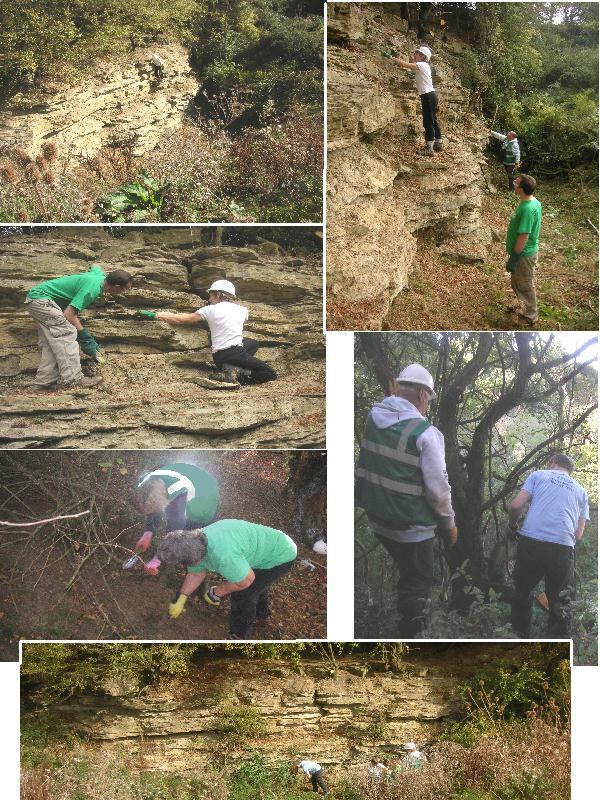 We were invited by the Oxfordshire Geology Trust to help expose Cornbrash and Forest Marble rock faces, including marine fossils and signs of sea movement, at the Greenhill Farm Quarry, near Bletchingdon/Kirtlington. We took down a lot of vegetation and chipped away at earth to expose the rocks. It was a sunny day and the company was good. 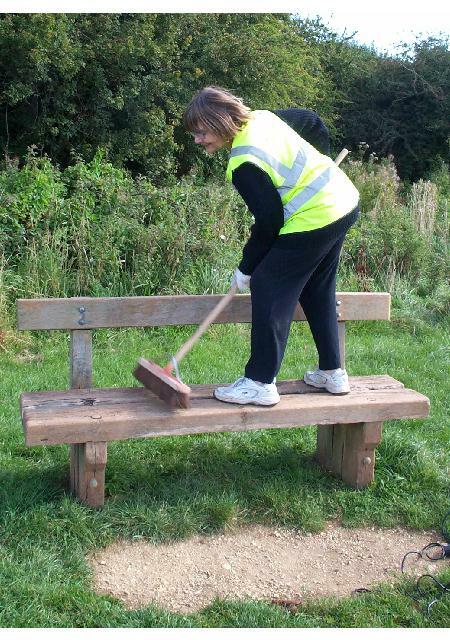 On 5th September we joined forces with Bure Park Residents Association and the Community Payback team, to sand down and wood stain the 15 or so benches around the site. The weather was perfect and the stain, donated by B&Q looked great on the benches. 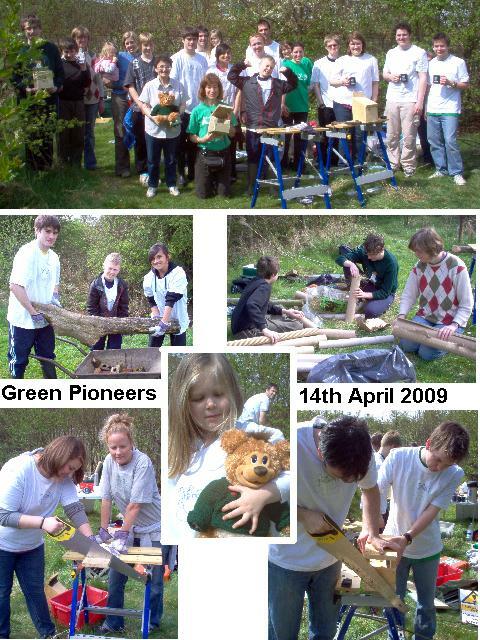 In April 2009 we enjoyed a session with Jane Craven (BTCV) and around 20 teenagers & helpers. We made a habitat pile, stuffed with tubes, fabric, bricks, sticks, logs and more, a lot of it found on site. Some of it man-made recyclables. Also bird & bat boxes. Of course tea break was a big feature! Our youngest helper was aged 3 and helped carry our new mascot, who sings “If you go down in the woods today…” . Very appropriate! (He was found during a litter pick one day, poor thing!). 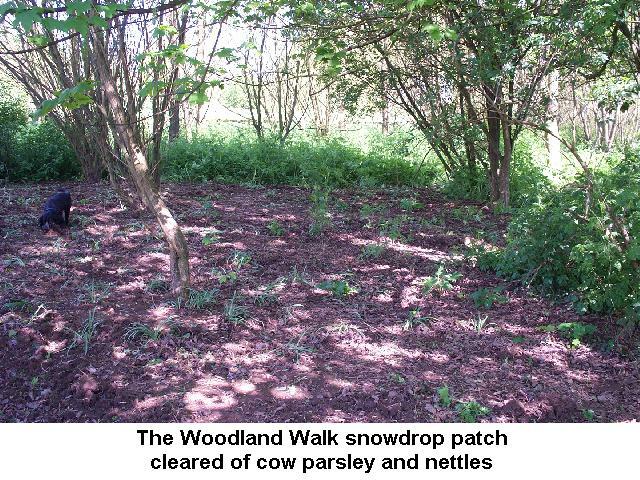 We tend this patch in the Woodland Walk regularly. Here you can see it weeded of cow parsley & nettles, allowing light in on the recently finished snowdrops. We hope to cultivate bluebells too. (April 2009). For two Tuesdays, we worked with Bure Park School, Bicester, talking about birds, bird boxes, and where to put them. 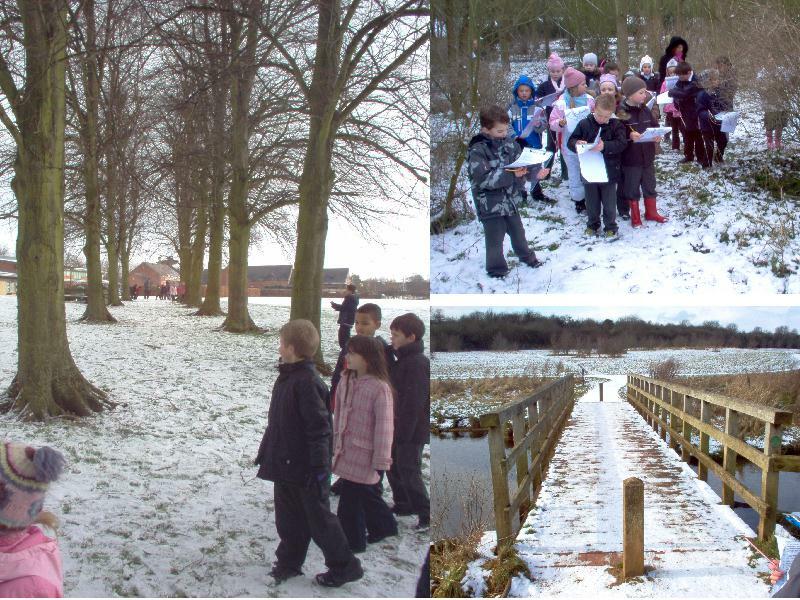 We inspected possible sites in the school grounds, then took the children on a tour of the nature reserve. With clip boards in hand, they had plenty to watch for, as they spotted birds nests, fungi, and evidence of Green Gym’s work within the park. 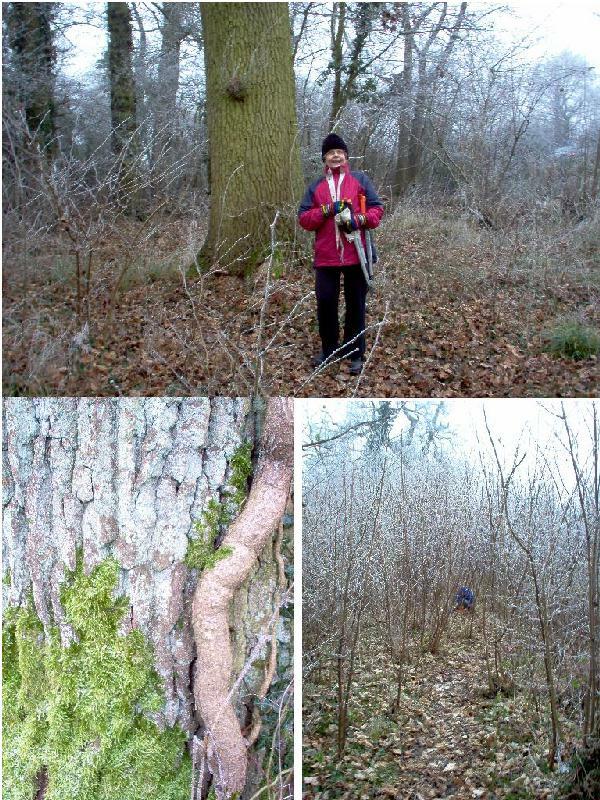 We joined the Wendlebury Woodland Project in coppicing hazels. – literally working in a winter wonderland, as temperatures struggled to zero during the day. See Wendlebury’s website for more details.